The recent Maryland delegation included ISR Director Reza Ghodssi (ECE/ISR), Associate Professor Pamela Abshire (ECE/ISR), Professor Peter Kofinas (BioE), and ISR Director of External Relations Jeff Coriale. 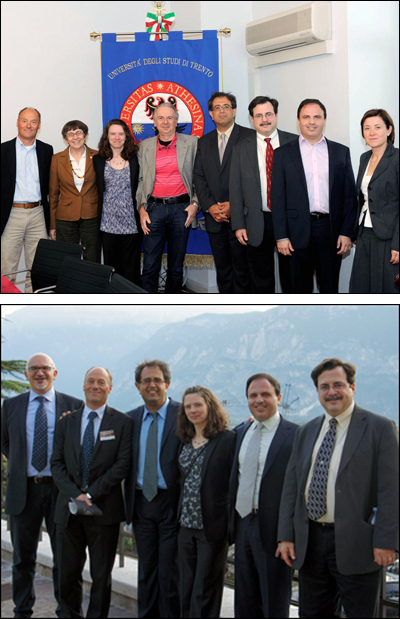 This team met with Dr. Alberto Lui of the Autonomous Province of Trento International Relations Department; Dr. Mariano Anderle, the Autonomous Province of Trento director of international relations; and Dr. Carla Locatelli, the vice rector for international studies and research at the University of Trento. For more information about this international partnership, contact Jeff Coriale, ISR director of external relations, at coriale@umd.edu or 301-405-6604. Research collaborations include bioengineering, biomedical devices, and bio-microsystems; nanomaterials, renewable energy and storage; and microsystems.